When it comes to making delicious treats that are ready in an instant, the Gujju Guys always take their time. 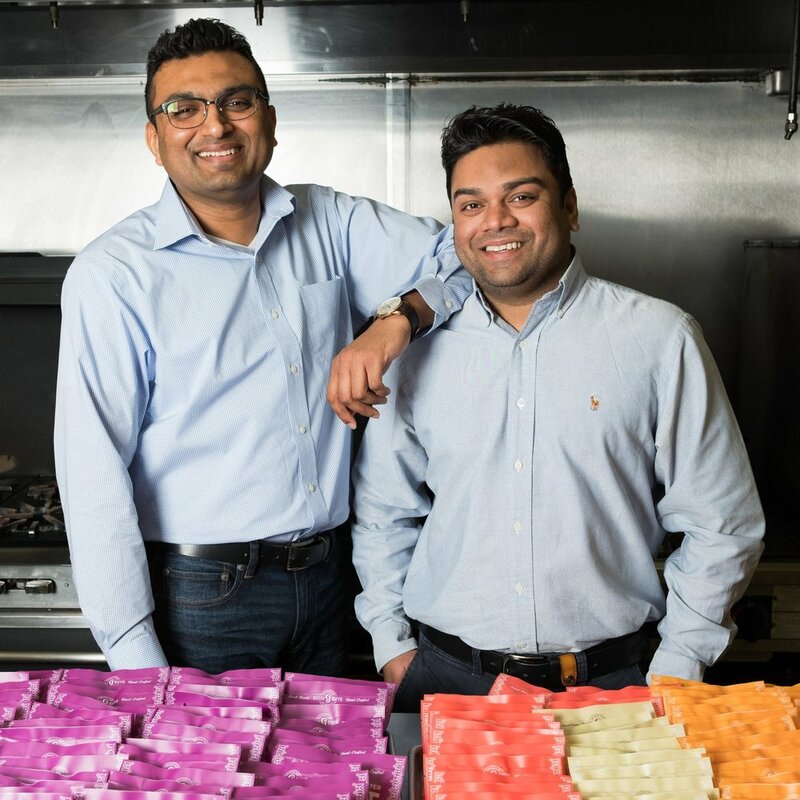 When Ankit and Haresh, aka Gujju Guys, moved to the United States from Gujarat on India’s western coast, they brought their love of food, family and time-honored tradition with them. Raised by mothers who spent their days preparing fresh and flavorful meals, they understood the universal language of food and its power to bring people together. After making the decision to buy a convenience store in the Ohio countryside outside Columbus, they set about doing things a little bit differently. They determined that everything they served in their onsite restaurant would be made fresh and from scratch using the finest natural ingredients. They stocked the adjacent store with a thoughtfully selected mix of healthy and homemade sandwiches and salads, and both popular and higher-end convenience foods. The constant stream of traffic and long (but fast-moving) lunch lines are a testament to their commitment to quality. The Gujju Guys are committed to making everything slowly, so that rather than simply grabbing fast food, their customers can enjoy great food, fast.